Venice is famous not only for its fine art, scenic vistas, and charming way of life, but also for its cuisine. 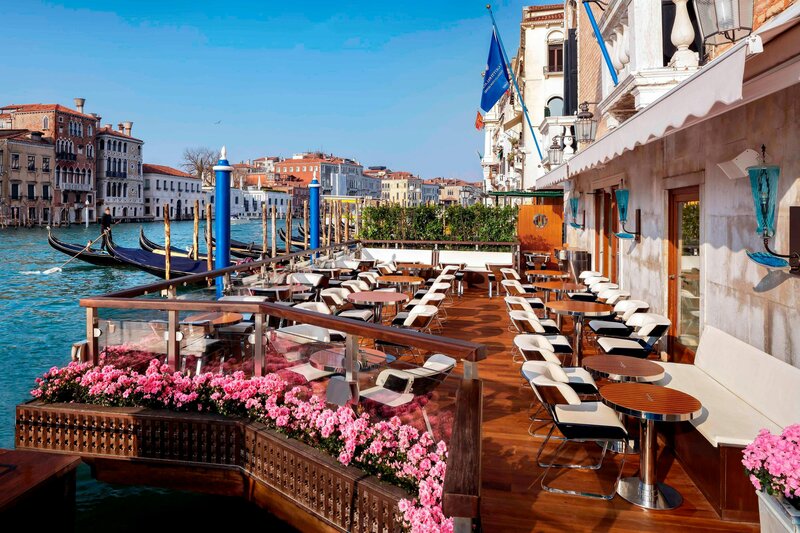 The Club del Doge restaurant and Bar Longhi offer culinary delights and enchanting views of the canal and city. Local and fresh ingredients and Venetian tradition are elaborated upon in Executive Chef Daniele Turco’s famous recipes, either inside an elegant setting or outside, if weather permitting (from April to October), on our stunning terrace. Executive Chef Daniele Turco displays a love of his Venice&apos;s culinary heritage in his award-winning dishes. Enjoy a tasty american breakfast buffet with Italian specialties or choose your pancakes and egg dishes from our à la carte menu. Celebrating Venetian culinary traditions from a corner position on the Grand Canal, Club del Doge Restaurant affords glorious water views from both sides, a unique visual complement to memorable dining experiences. 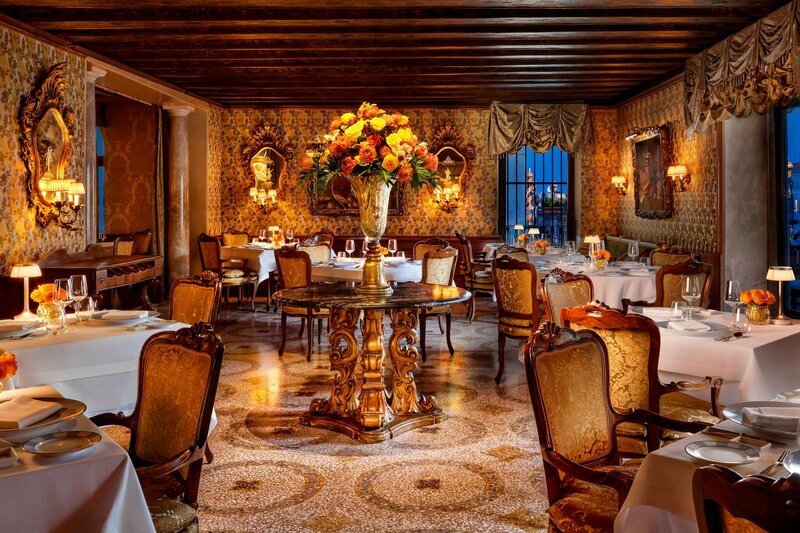 Experience informal dining at its best on Venice&apos;s Grand Canal. The Gritti Terrace is the place to go for an indulgent lunch, for afternoon tea, or for Bellini and Negroni cocktails and a fresh glass of champagne. 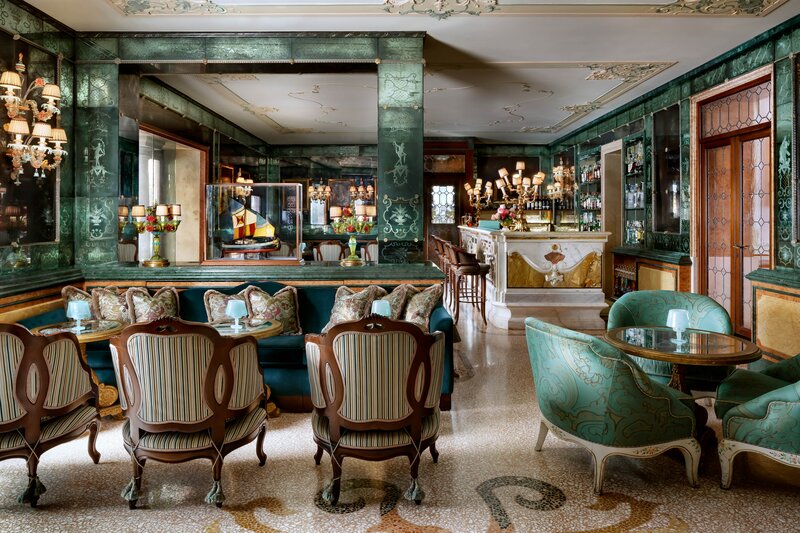 Renowned for its elegant decor and atmosphere, Bar Longhi truly delights with its splendid Grand Canal terrace. Tailored around the materials used in the design of the Riva Yacht, the look and feel of this seasonal 36 seat, 55 square meter Riva Lounge on the iconic Gritti Terrace reflects the Riva Aquarama Lounge at the Monaco Yacht Club. Learn exceptional Venetian recipes, discover seasonal products from the Venetian lagoon and savour the culinary creations of Executive Chef Daniele Turco. An indigenous culinary experience awaits, featuring demonstration classes and visits to the markets. 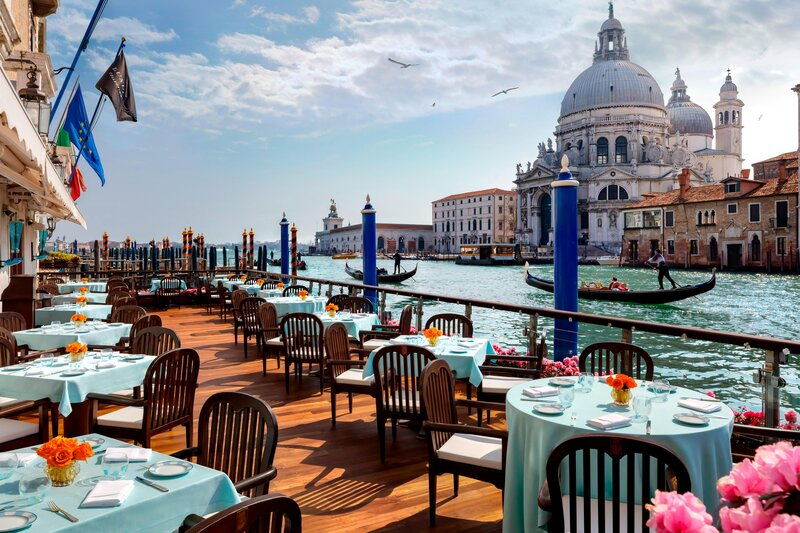 Located on the rooftop of the Palazzo Danieli Excelsior, the Restaurant Terrazza Danieli offers guests an enviable view of the "Serenissima." The inspired menu celebrates Venice&apos;s historic role as a crossroads between East and West. Overlooking the Venetian Lagoon, Danieli Bistro is a celebration of renowned cicchetti-traditional Venetian tapas with an inspired menu that exemplifies Italian culinary excellence. The contemporary expression of traditional Italian and Venetian dishes. A triumph of taste, beautifully presented by Executive Chef Silvio Giavedoni. Michelin star-rated, Quari is the only restaurant sset in St. Mark&apos;s Square. One of the world&apos;s most celebrated restaurants, Harry&apos;s Bar evoked a frame of mind. Harry&apos;s was declared a national landmark in 2001 by the Italian Ministry for Cultural Affairs. Since 1976, Da Ivo serves superb cuisine in an elegant atmosphere. The menu varies on a daily basis so that only seasonal ingredients are used. Hidden amongst the calli e campielli between the Rialto Fish Market and San Polo, Antiche Carampane offers a seafood-based menu of Venetian tradition with a modern twist, based on ingredients that vary according to the season. Original Italian dishes served in rustic elegant surroundings, with al fresco dining in Campo Santo Stefano during summer. One of the most famous restaurants in the city. Its high class service and its delicious gastronomic dishes have earned it a Michelin star rating. Da Arturo breaks the Venetian fish tradition by offering a vast selection of meat, vegetable and pasta dishes served in a simple yet tastefully decorated ambiance. Inaugurated in 1935 on the Venetian island of Torcello, the Locanda&apos;s two large rooms overlook its magnificent garden, to which a terrace is added during summer. Chef Cristian Angiolin serves dishes of the Cipriani family tradition. A Venetian culinary proposal with a focus on seafood on the island of Pellestrina in the southern lagoon, favoured by locals and visitors. Set on a terrace to the splendid background of the lagoon waters. Step up for a natural high with dramatic 360-degree views of Venice. The menu is a showcase of Italian cuisine with assaggi, sharing platters, and refreshing cocktails. 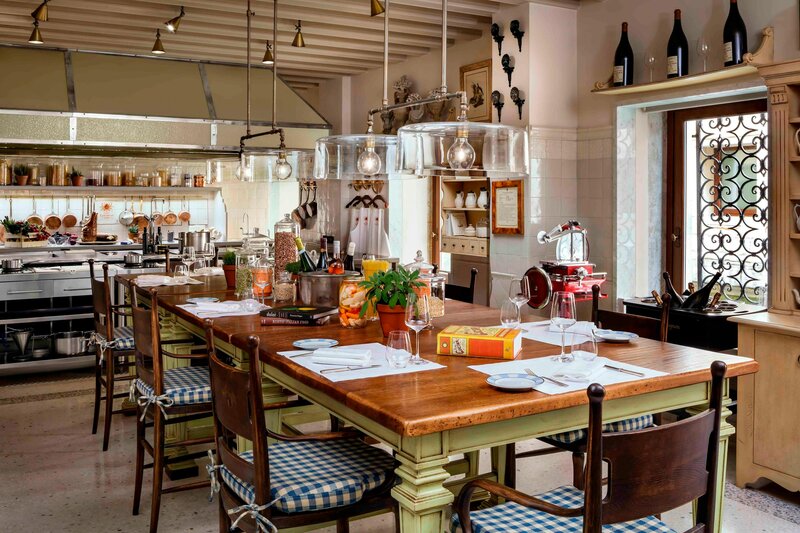 Award-winning Chef Fabio Trabocchi brings his acclaimed Fiola fine dining concept to Dopolavoro Venezia. Dishes combines seasonal ingredients locally sourced as well as organic vegetables from our kitchen gardens and our home grown olive oil.